Spring has sprung or it might as well be but I am claiming its full on summer for that matter! I kid you not it’s almost 90 outside today and it’s supposed to get even hotter. YIKES!!! with the pictures on the sheets but I through caution to the wind and said I don’t need on stinking sheet. I have built a few kits before. 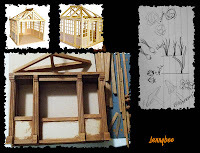 Mind you this is not a hard kit to build you have the floor, 3 walls and the roof. Well the roof is a whole other issue in itself. You see the kit has a roof underside then you add the clear acrylic panels then there is the decorative over lay (wood strips). Except the strips of wood are too short and don’t reach to the top. Luckily I had some spare balsa laying around and it was the same thickness and just the right width to make up for the shortness. So far I put my first coat of paint/stain on all the pieces and then like glue now the wait to dry begins. I bet if I stuck them outside for a few minutes they would get nice and dry real fast. Lol While drying I got out my notebook and thought this would make the perfect greenhouse to put up alongside my witch’s house. 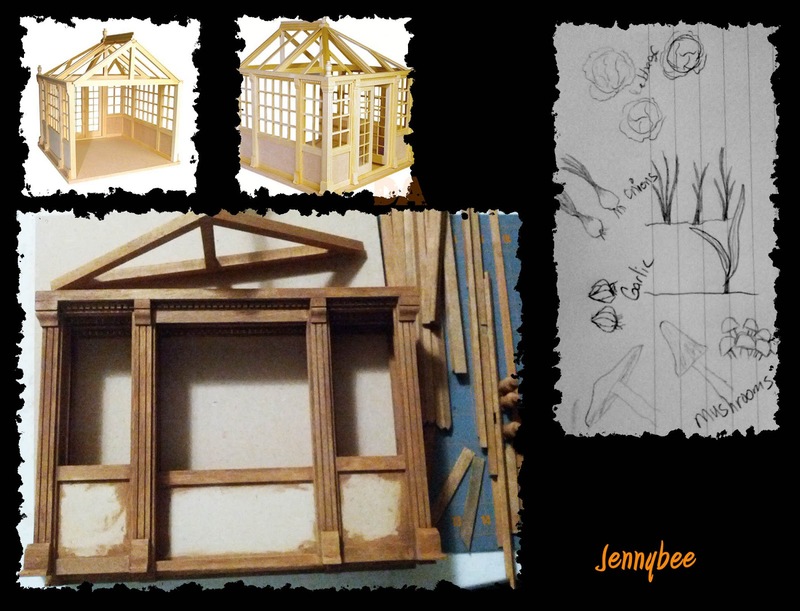 So what things would a witch grow in a green house? I was thinking cabbage, onions, garlic, mushrooms, and pumpkins we certainly cannot forget those. 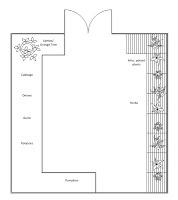 I made a layout where I will basically split the are up in half, one side will be plants on the ground level and on the other side I will run a shelf for potted plants like herbs and such maybe even add hanging plants throughout. See the snails and slugs I made last weekend now have a home. What else do you think is a must have for a witch’s greenhouse garden? 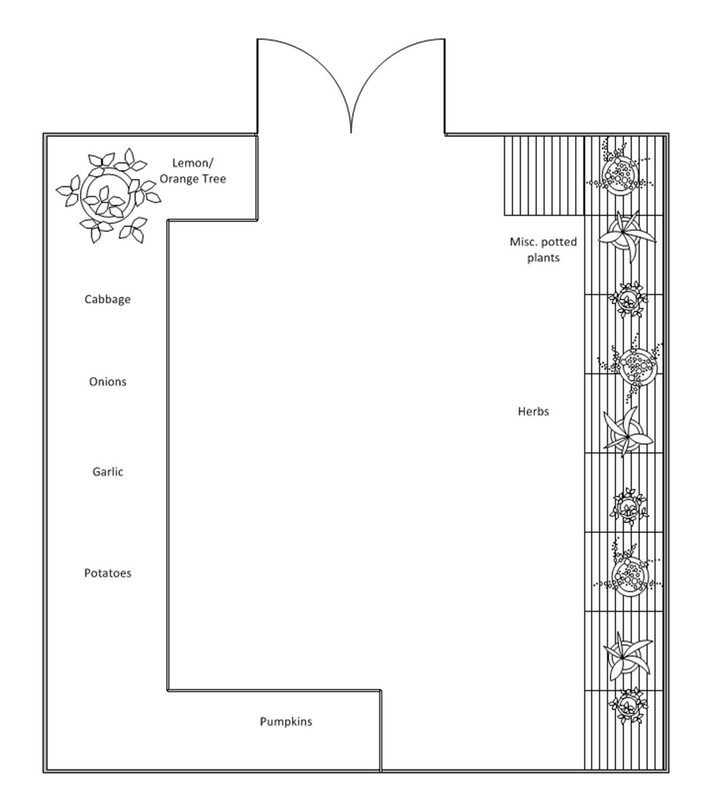 I’m even thinking of making a flowering vine plant on the outside of one corner. Soo many possibilities… Have a great week everyone!. Its been quite busy here at my place. I have been making minis and cracked open the conservatory box. I have an idea for it and even a chandelier I got at a mini show over the weekend. I'm just a little excited about this build and have many ideas... I got other things at the mini show like battery LED lights, metal record player kit and fabric trim. I'll try to get a good photo of the chandelier and post it. Oh do you remember the white and green writing desk I made for my mom? I thought she needed a chair too and with that flower fabric I showed you I made her one for Valentine's day. 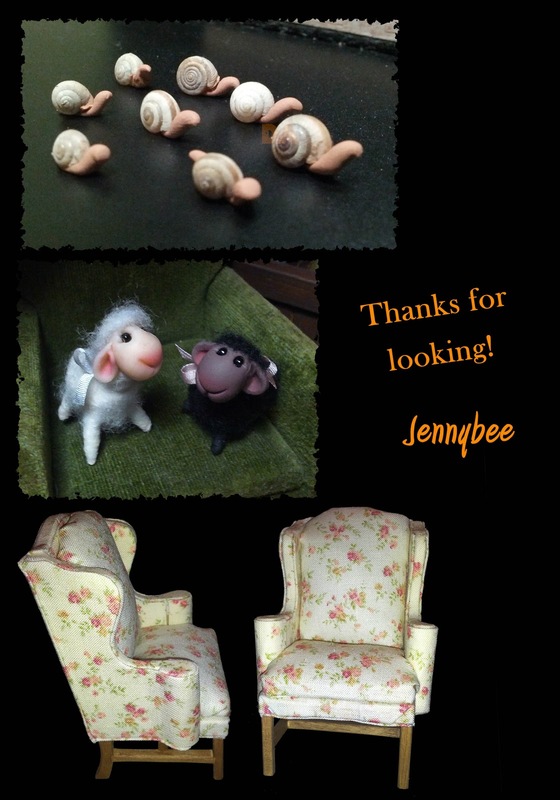 Lastly I would like to introduce you to new members of my mini world the sheep. Aren't they cute? I got them from LugArt petit, I could just have a whole herd of them in every color. The week is almost over everyone I hope its going well for all and try not to work too hard. Yep I went there and in pink to boot! Ever wanted to be able to reposition a piece of fabric? How about an apron? I wanted an apron in the witches kitchen but with the idea that if I wanted to move it around and hang it off a hook or drape it off a chair I could. 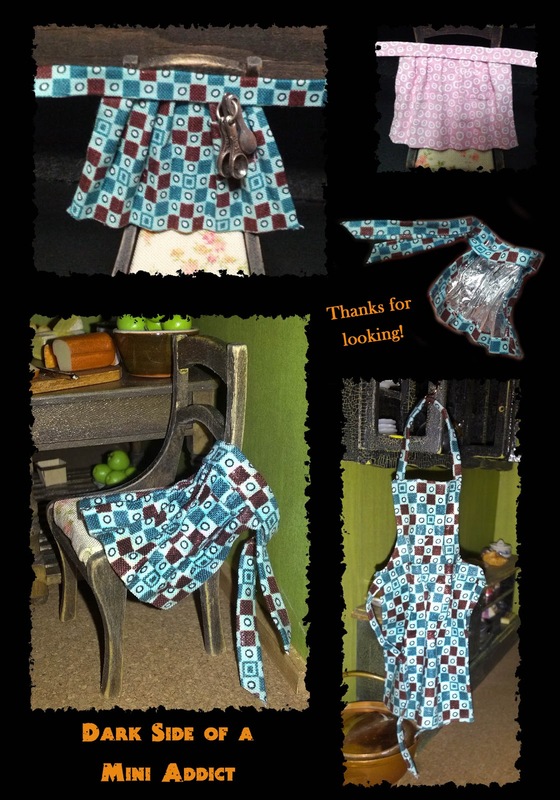 Of course not sure if I wanted a long apron that hangs off your neck or one you just tie around the waist I made both! First thing I did was grab some scrap fabric from basket and to mix things up I picked pink too. lol I know your probably thinking what is Jennybee doing right? I went with pretty standard shapes being this was my first try but did add some folds in waist aprons and a little pocket. I think I will make some more this weekend in some other colors. What do you all think? Any colors I should stay clear of or is there a certain color you would like to see one in? Do you prefer the type that hangs around your neck or tie around your waist? Don't forget to poke the image to enlarge it for more details. Have a great weekend everyone and thanks for reading.